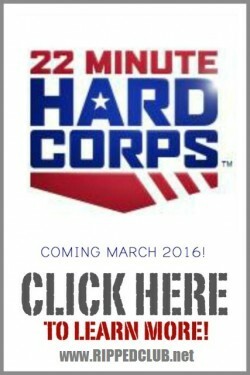 So with there being about a bazillion ways to plan and track your nutrition out there, I thought it would be appropriate to touch on two of the most common forms that RIPPEDCLUB members are using, and talk about which works best. 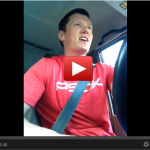 I am referring to Portion Control Containers vs MyFitnessPal! Both are great tools for planning and tracking, but theres gotta be something that sets one apart from the other right??? You think you can guess my answer? 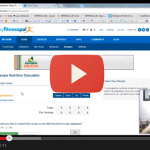 If you have been browsin RIPPEDCLUB long enough, you probably know, but I think this video is going to surprise you on what I think about both the containers and mfp. The containers work…PERIOD! 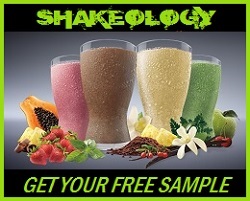 They are an amazing way to take a healthy eating plan and simplify it into something a noob can follow. And thats why so many people have success using the containers. One of the concepts that I like about the containers is that “if it fits, you can eat it”. No not if a Snickers bar fits, you can eat it. 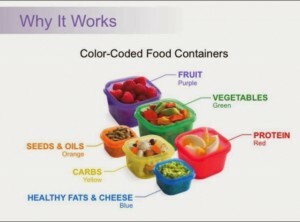 Each container is color coordinated to a certain food category: red = proteins, green = veggies, purple = fruits, so on and so forth. This way there is no confusion on portion sizes or what can go into those containers. Its SIMPLE! 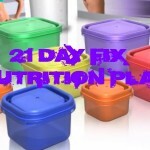 Where I think the 21 day fix containers (which is what these are used with, along with Max30) fall short is when someone wants to get INSANE results. Its my firm opinion that if you want to get absolutely shredded, then you gotta get very precise! Precision is where MFP shines. You can know exactly what you ate, what you need to eat, and how you can adjust portion sizes to fit your goals. One of the things that I love about MFP is that its a reality check for a lot of new users. I tell my new team members to log into MFP and enter in everything they normally would have eaten in a day and just see what the macros look like. LOL, it ends up being around 100g of fat, 300g of carbs, and 40g of protein….Which is not the direction they want to be going. Another advantage that MyFitnessPal offers is the ability to adjust your macros according to your goals. If you want to bulk, you can adjust your calorie intake and macro percentages to precisely reflect that goal. If you want to cut…same thing. Its incredibly flexible to your personal goal. And speaking of flexible…One of the things I love about MFP is that if I want to have a cheat meal, I can actually still hit my macros for the day if I plan things right. This is whats know as “flexible dieting“. I hope this post on MFP and the containers helped you out. If it did, be sure to like & share, cuz it helps get this info into the hands of others who are lookin for the same type of info!